Apple has released a security update to address the problems noted in our last podcast. It’s a new month. Please take a moment and give Radio MacGuys a vote on PodcastAlley.com. Thanks! 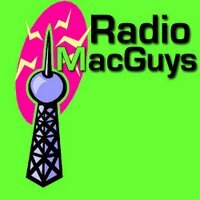 After you vote for Radio MacGuys, do something REALLY important and support the Common Cause “Hands Off My Internet” campaign. Leather iPod cases in mid March. Also, in iPod news, a jogger running in the San Francisco Persidio Park was the victim of a hit an run. The woman was unidentified until the police traced her through her iPod. The Grand Old Party is doing a little social data mining in Minnesota. Network World has an interesting article on the TCO of various computer platforms. It’s no surprise to MacGuys, but the author was astounded at what a bargain Mac OS machines are. Similar to Woot, MacZOT has a new deal everyday on Mac OS software. Dude…enough of the whiney country music. thanks for playing Rhonda Watson’s music. She’s great!